The Department of Homeland Security Headquarters building is being constructed on the grounds of St. Elizabeth’s Hospital in Anacostia, DC. Hulett & Associates performed an integrated schedule and cost risk analysis of the project for the General Services Administration. The entire project is the largest, most complex construction project in GSA’s history. Hulett used the Risk Drivers Method applied to cost risk analysis. The Risk Drivers Method allowed the GSA to see how much schedule and cost risk there was in this project as well as which risks were most important in driving that cost risk. 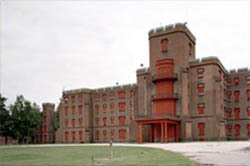 The picture above shows the proposed Coast Guard Headquarters building. The picture on the right shows the historic Center building that is being retrofitted for adaptive reuse. 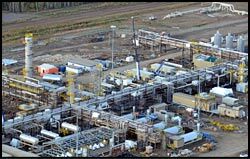 The Fort Hills Oil Sands Project is operated by Suncor and is scheduled to produce first oil as early as the fourth quarter of 2017 and achieve 90% of its planned production capacity of 180,000 barrels per day within 12 months. The mine life is expected to be approximately 50 years at the current planned production rate. The Project Owner is Fort Hills Energy LP. Owned by Suncor Energy Inc. 50.8%, TOTAL E&P Canada Ltd. 29.2%, Teck Resources Limited 20.0%. The Project will be operated by Suncor Energy Operating Inc. Total direct, indirect, and induced effect of Fort Hills construction: estimated $10 billion in terms of Provincial GDP and $7 billion in labour income over the 2013-2017 construction period. 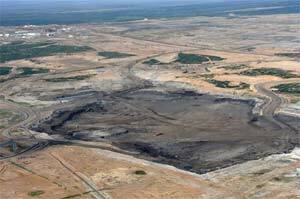 The project’s website is http://forthills.suncor.com/default.aspx. The schedule risk analysis work involved: (1) developing a summary analysis schedule, conducted by Long International, Inc., including activities’ durations, logical relationships, and resources required, (2) interviewing the project participants from the owner about schedule risks,(3) conducting Monte Carlo simulations of the schedule and cost to determine both when the project is likely to finish under the current program and at what cost given the owner’s risk tolerance, and (4) identifying and prioritizing the major project risks, (5) conducting several risk mitigation workshops with the project team focusing on the high-priority risks, and (6) analyzing the improvement of the project’s performance that can be expected if the mitigation actions are taken. The cost of the mitigation actions to determine the benefit – cost of those actions. We used the Risk Driver approach to risk analysis capability of Polaris, the Monte Carlo simulation package from Booz Allen Hamilton. Using the risk driver approach we explicitly link with the prioritized list of risks found by qualitative methods and included in the Risk Register. We interviewed over nearly 100 owner personnel for: (1) the probability that the risk will occur to cause a measurable impact on some schedule durations, (2) the range of possible impacts if the risk occurs and (3) the activities that would be affected. From this basis, we prioritized the risks that drive overall project cost and schedule risk and facilitated the mitigation workshops. 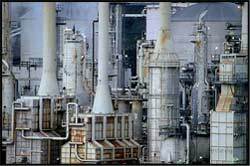 Hulett & Associates, LLC partnered with lead firm, PMA Consultants LLC, to conduct schedule risk analysis for several chemical plant construction projects being designed and built by BASF. David Hulett was teamed with Tarek Bahgat of PMA Consultants working with the project teams in the summer of 2013. The schedule risk analysis work involves: (1) PMA Consultants created an integrated analysis schedule smaller than the detailed schedules of the modules, (2) interviewing the project participants from BASF and their contractors about schedule risks, (3) inserting the risks into the schedule using Primavera Risk Analysis Risk Register capability, (4) conducting Monte Carlo simulations of the schedule to determine both when the projects is likely to finish under the current program, and (5) identity and prioritize the major project risks for each sub-project, (6) conduct a risk mitigation workshop with the project team focusing on the high-priority risks. We used the risk data interviews to build a Risk Register. These risks were developed and quantified in the Risk Register capability of Primavera Risk Analysis (a.k.a. Pertmaster, the Monte Carlo simulation package, a product of Primavera, a subsidiary of Oracle). Using the risk register approach we explicitly linked to the appropriate activities in the schedule for simulation. Focusing on the risks makes it clear which risks affect the schedule. Also we prioritized the risks (not activities or schedule paths as historically was the case). 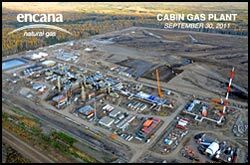 Hulett & Associates, LLC was asked by ENCANA of Calgary, Alberta to conduct schedule risk analyses on the Cabin Gas Plant 1 construction project. 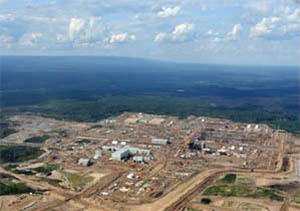 This project, the first of two plants planned on the site in upper-British Columbia, is in execution and planned to complete in mid-2012. Analyze the improvement of the project’s performance that can be expected if the mitigation actions are taken. The improvement (earlier date for Mechanical Completion) is balanced against the cost of the mitigation actions to determine the benefit – cost of the actions. We used the Risk Driver approach to risk analysis capability of Pertmaster, the Monte Carlo simulation package (a product of Primavera, a subsidiary of Oracle), called Risk Factors. Using the risk driver approach we explicitly link with the prioritized list of risks found by qualitative methods and included in the Risk Register. We interviewed over a dozen owner personnel for (a) the probability that the risk will occur to cause a measurable impact on some schedule durations, the range of possible impacts if the risk occurs and the activities that would be affected. 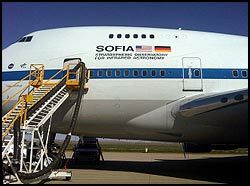 The SOFIA project uses a modified Boeing 747 to carry instruments aloft for astronomical observations. The purpose is to fly above 99% of the Earth’s atmospheric water vapor, thereby allowing infrared images that cover the full spectrum. This joint NASA / German (DLR) project will offer international science teams approximately 1,000 cloud-free high-altitude (over 45,000 feet) science observing hours per year. 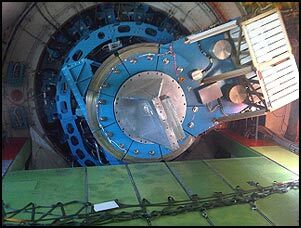 It includes a German 2.7 meter telescope mounted in a modified Boeing 747-SP. IPAO’s Standing Review Board (SRB has looked at this project periodically. In 2010 the SRB reviewed the SOFIA program’s schedule and joint cost-schedule confidence limit risk analysis and conducted its own JCL, which was adopted by the program. 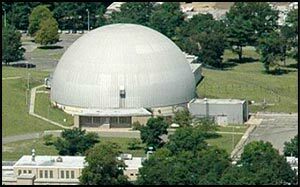 Hulett & Associates, LLC supported the SRB and conducted the schedule assessment and JCL analysis. 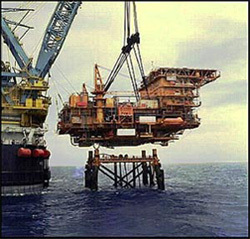 Hulett & Associates, LLC has been working with Petronas since 2007 and has conducted seven (7) integrated cost and schedule risk analyses, mostly on offshore gas production platform projects including procurement, fabrication, installing of the jacket and topsides, drilling gas wells and laying pipelines between the platform and the shore. Several of these projects are in Malaysian waters but some are elsewhere (e.g., Turkmenistan in the Caspian Sea). 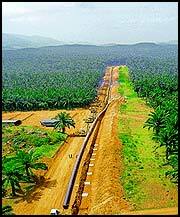 One project was a natural gas pipeline project in Borneo (East Malaysia). Holding a risk mitigation workshop with the project manager and team to develop mitigation actions. These results were reported to three increasingly-high levels of Petronas Carigali management. 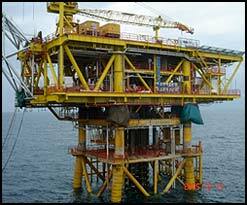 The picture of topsides on the jacket is representative of the offshore projects. The pipeline picture represents that which will be built in East Malaysia. Hulett & Associates, LLC has been working with GAO in assessing project schedules for federal acquisition programs since 2008. In 2009 GAO decided to conduct a schedule risk analysis on the VA Hospital project that is being constructed north of Las Vegas, NV. Examining the schedule for its agreement with best practice scheduling. Reviewing the prioritized risk list and setting up the interviews of project participants. Interviewing the chief engineers and project managers, and the construction contractor and their consulting scheduler on the risks (their probability of occurring, their impact if they do occur and the activities that they affect) using the Risk Driver method of risk analysis. Running the Monte Carlo simulations to estimate the overall project schedule and cost risk. Prioritizing the individual risks to schedule. Producing a risk analysis result for GAO. 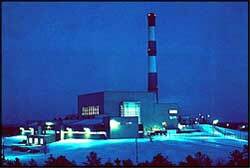 These results were reported to the US Congressional committee that requested GAO to examine this project. 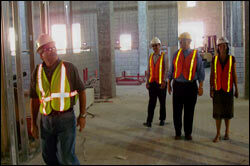 The pictures represent the GAO team, along with a representative of the project manager, on the site visit. Hulett & Associates, LLC has been contracted by ConocoPhillips since 2004 to conduct schedule and cost risk analyses on some of their major projects including refinery construction in the US and offshore drilling and onshore gas processing plant projects in Qatar among others. The most significant project is the planning and construction of the YANBU Export Refinery Project, a large 400,000 barrel-per-day multibillion dollar greenfield refinery in Saudi Arabia in partnership with Saudi Aramco. All of the work has been performed in the US, mostly in Houston, TX. identity the major project risks. Two analytical advances were made on this assignment. First, we conducted fully integrated cost and schedule risk analysis by putting resources into the schedule and simulating them cost and time together. In this way, schedule risks are allowed to affect labor-type resources’ costs. Second, we used the Risk Driver approach to risk analysis by getting Pertmaster, the Monte Carlo simulation package (now owned by Primavera, a subsidiary of Oracle) to develop the Risk Factors Module. Using the risk driver approach we explicitly link with the prioritized list of risks found by qualitative methods and included in the Risk Register, so we can prioritize risks, not activities or schedule paths as historically was the case. 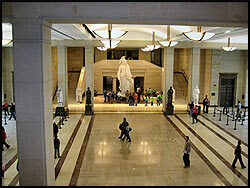 The Capitol Visitor Center (CVC) project was completed in 2008 over budget and schedule. In 2003 the US Congress asked the Government Accountability Office (then the Government Accounting Office) to review the cost and schedule performance and risk in order to report to Congress in monthly hearings. Hulett & Associates, LLC was contracted to the GAO through their support contractor, UNICCO, to make the assessment using modern project schedule and cost risk analysis methods and tools. We conducted quantitative risk analysis of schedule and cost, including integrated cost/schedule risk analysis, 3 times between 2003 and 2006. We examined the project schedule (4,500 activities) against best-practice scheduling standards and worked with the project scheduler to make substantial improvements. We conducted extensive interviews to develop the risk data that was used in the Monte Carlo simulations of the project cost and schedule. Our reports to the GAO were used several times by the GAO in their briefings to Congress. The GAO became recognized as knowing more about the CVC project’s cost and schedule than the Architect of the Capitol who was the owner. Hulett has used associates to do some of the work, though David Hulett has supervised the entire effort. 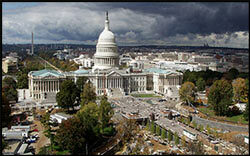 The picture above indicates the area where the CVC is built, underground, between the Capitol and First Street. The finished interior is also pictured. The Brookhaven Graphite Research Reactor (BGRR), a small research reactor that was permanently shut down after being operated on the Lab site from 1950 through 1968. BNL has made significant progress in cleanup of the HFBR, removing contaminated ancillary structures, underground pipes and ducts, control rod blades, and beam plugs, and putting the facility in a stable state for its hibernation. The High Flux Beam Reactor (HFBR), a small research reactor that was permanently shut down by DOE in 1999 after being operated on the Lab site from 1965 through 1996.The removal of BGRR graphite pile commenced in early 2010 and was completed in May of 2010; the removal of the biological shield will follow. The integrated cost and schedule risk analysis used a Primavera P3 schedule developed on site that had detailed resources defined, costed and assigned to the activities. We worked with Pertmaster (now Oracle / Primavera) to configure Pertmaster Risk Expert (now Primavera Risk Analysis) software to accept the identification of time-dependent and time-independent resources so that the risk analysis could capture the impact of schedule uncertainty on the cost uncertainty. The HFBR Dome is in the photograph at the right. On the left is the BGRR photographed at night. 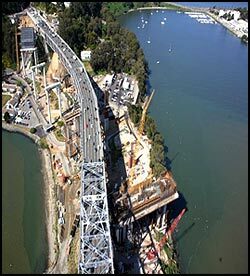 The project is the San Francisco-Oakland Bay Bridge Seismic Replacement Project being executed by Caltrans District 4. The contract was with Caltrop Corporation. Caltrop was asked to assist Caltrans with the risk analysis of this project. Caltrans hired Hulett & Associates, LLC to assist in this effort. We began by organizing and conducting a risk identification workshop that identified nearly 100 project risks. Then we organized and conducted a qualitative risk analysis workshop that prioritized the main risks by assessing their probability of occurring and the impact on schedule, cost and scope if they were to occur. 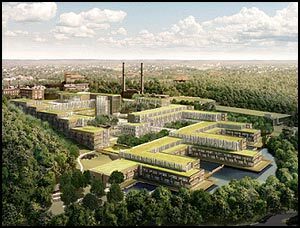 The result was a list of risks that were grouped into high, moderate and low risks to the project. 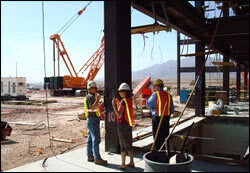 We then examined a small schedule of the project that had been put together by Bechtel. That schedule was improved based on our assessment of it against best scheduling practices. We conducted a workshop to quantify the uncertainty in duration for the main activities. We performed a Monte Carlo simulation to determine when the project might finish based on the then-current schedule and the risk data. We prioritized the risks to the schedule. Then we worked with the cost estimate model and interviewed for project risk of the line-item cost elements. We brought into the cost risk estimate the information from the schedule risk for an integrated cost-schedule risk analysis. This information has formed the basis for the subsequent Caltrans risk assessment quarterly reports to the State. 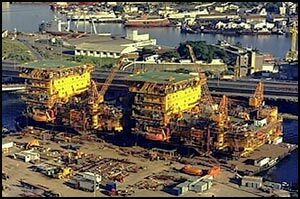 Hulett & Associates, LLC has been working with Petrobras to provide quantitative project risk analysis of cost and schedule for offshore oil production platforms and FPSOs, pipelines, drilling, and refinery improvements. We have also provided training in these subjects to Petrobras personnel. 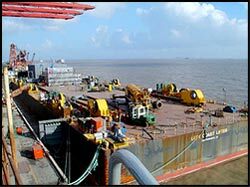 The pictures represent the type of projects that have been reviewed, including an offshore platform, three FPSO projects and a refinery expansion project. Nerve gas and mustard gas agents had been stored in bunkers at seven storage facilities for many years. At some of these there was evidence of leakage contained within the bunkers. 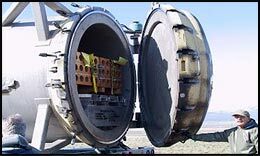 The stockpile included some agents that were weaponized (e.g., inserted into rockets and land mines) and some were in bulk containers. 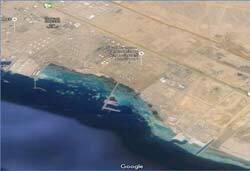 The technology for destroying nerve and mustard agent was being debated, with several of the largest sites (Deseret Chemical Depot in Utah, Anniston Alabama, Pine Bluff Arkansas and Umatilla Oregon) as well as Johnston Atoll off Hawaii employing incineration technology. Other sites (Newport Indiana, Aberdeen Maryland, Pueblo Colorado and Blue Grass Kentucky) used a chemical neutralization methodology. The US complied with the 1997 Chemical Weapons Convention, an international treaty which the United States and more than 150 other nations have signed as their pledge to rid the world of chemical weapons. 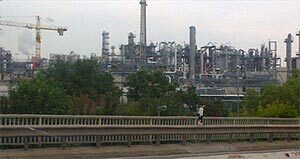 The technology and the environmental issues, requiring superfund-type environmental permit requirements, led to uncertainty about the building of the plants. Operating risks affected the program’s ability to destroy the agents once the plants were completed. Hulett was engaged by SAIC, the project manager contract for the chemical demilitarization program to perform a cost risk analysis of the entire 7-site system of process plants designed to destroy the US stockpile of nerve gas and mustard gas. Soon after that assignment, Hulett was requested to also conduct a cost risk analysis. Recognizing that much cost risk will occur as the result of uncertainty in the schedule, we performed an early integrated cost – schedule risk analysis. The Pentagon desired the analysis to be done by one of the (then) big six accounting firms, so we turned to Arthur Anderson of Houston Texas and they became the prime contractor for this effort. We were also commissioned to analyze the project risk analysis for the ACUA investigation of technologies alternative to incineration that would be used for the Blue Grass and Pueblo sites. 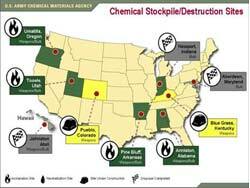 The Chemical Stockpile Demilitarization program has destroyed 90% of the stockpile, with agent remaining at Pueblo, Colorado, and Blue Grass in Kentucky.